Nanny to Mommy received complimentary products to provide this review. All opinions are our own. Tis' the time of the year to get your Holiday Day Baking on! Did you know today is National Cookie Day? I love making cookies with my littles. Holiday baking can be hectic for many, and Krusteaz is here to help, offering high quality and easy-to-bake cookie mixes - saving you time in the kitchen and making more time for you to spend with family this holiday season. The cookie fun continues throughout December with a virtual holiday cookie decorating party on http://www.krusteaz.com/, featuring festive cookie recipes and inspiration, fun hack videos and how-to’s from the Baker’s Dozen. Krusteaz will sprinkle some extra sugar on their favorites - awarding weekly winners with festive cookie decorating kits, gift packs with cookie mixes and baking tools, and even deck their halls with the grand prize, a $500 gift card. 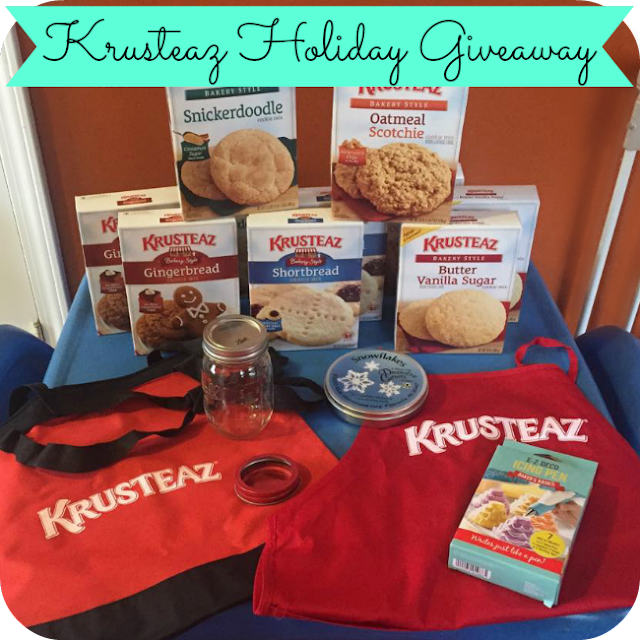 One lucky winner will a Krusteaz Prize Pack which includes: Two boxes of the following Krusteaz mixes: Shortbread, Gingerbread, Snickerdoodle, Butter Vanilla Sugar and Oatmeal Scotchie, an apron, tote bag, cookie cutters, frosting decorating pen and a mason jar. Entry is simple, just follow the prompts on the Rafflecopter below. Open to US only, must be 18+ to enter. Winner chosen via Random.org through Rafflecopter. All winning entries are verified. Please follow us on Facebook to stay up to date with our current giveaways. Check out other featured products in our Holiday Gift Guide and Good luck! Welcome to the 1st Annual Santa's Coming to Town Giveaway! & Housewife on a Mission! We have teamed up with a fantastic group of bloggers to share some awesome giveaways with our readers. Be sure to hop around to the participating blogs listed below and enter some fabulous giveaways, all of which are worth a minimum of $25! Also, make sure to enter the Grand Prize Giveaways – Zoomer Jester Dino and a Classic Cedar Swing Set from Eastern Jungle Gym! Nanny to Mommy received complimentary products to provide this review. All opinions are our own. Nanny to Mommy, Karen’s Got Mail, Housewife on a Mission and the Happy Holidays Giveaway Hop participating bloggers are not are NOT responsible for prize fulfillment. This giveaway is open to US only, must be 18+ to enter. One entry per household/IP address. No social media was involved in this giveaway in any way. Winner is chosen via Random.org through Rafflecopter. ALL winning entries ARE verified. Winner will have 48 hours to respond with all information in email or another winner will be chosen. If you would like to see your product featured in our Holiday Gift Guide or sponsor a giveaway event, please contact us. i would love to try the shortbread mix. i love to make shortbread for my dad. I'm excited about the Oatmeal Scotchie. My favorite cookies are bakeless. Shortbreads!! We are a scottish family and we looove them!! I would love to try the gingerbread. I'm excited to try the oatmeal scotchies mix first. I am most excited for the Gingerbread cookies. Oh I am most excited to try the Oatmeal Scotchies! I love those and am so excited they have a mix for them! 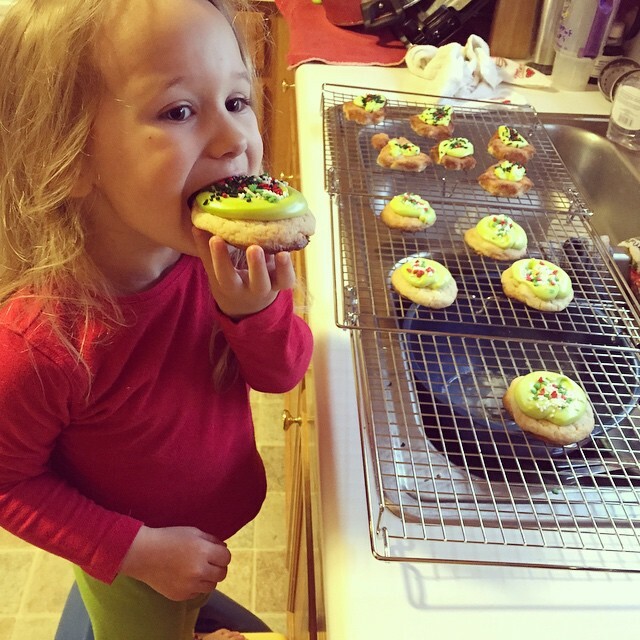 We also love Thumbprint cookies! I want to try the snickerdoodle mix. Favorite to make is oatmeal raisin cookies. I am excited to try the Snickerdoodle cookies! And my favorite cookies are my Decorated Sugar Cookies for the Holidays! I want to try the Oatmeal Scotchies. I want to try the Snickerdoodle mix. My favorite cookie is peanut butter. My husband loves their Snickerdoodles. I would like to try the Shortbread cookie. I am excited to try the shortbread cookie mix! I'm most excited about the Gingerbread cookies! I am most excited to try the Oatmeal Scotchie first. My favorite cookie is my moms candy cane cookies. I am most interested in trying their oatmeal scotchie variety. We make them all the time, so I am interested to see what their version tastes like. I am most interested in trying the Oatmeal Scotchie. My favorite Christmas cookie combines pumpkin, oatmeal, raisins, and chocolate chips. Those sugar cookies look awesome. I usually make sugar cookies from scratch but I am looking for several ways to save time this year so I think I will give them a try. I love oatmeal scotchies and haven't made them for so long so would love to try them first. I would love to try the Snikerdoodle mix! I love the Krusteaz brand; we like their Blueberry Muffin mix! I would love to try the Gingerbread I have not made it for my family before and I think they would love it. I'd like to try the shortbread mix! Also, I've never made gingerbread before, so I'd also like to try those too! I would most like to try the butter vanilla sugar mix...I love sugar cookies but I'm not the best at making them. I'm excited to try the butter vanilla sugar cookie mix. It sounds really good. Thank you. I am excited to try the gingerbread cookies. We love shortbread and snickerdoodle cookies the most. I like all things gingerbread so very happy to see this in a mix to make it a lot easier. I'm most excited to try the shortbread. I usually make chocolate chip cookies, but I would love to try the snickerdoodles! I would love the Oatmeal Scotchies. That sounds yummy! I want the oatmeal scotchies! They look delicious and my family would love them. My very favorite cookie recipe is for Snickerdoodles! I absolutely love cinnamon! I want to try the butter vanilla sugar. I would like to try the Gingerbread cookies. I bought some ninja bread men cookie cutters and cannot wait to use them! I'd like to try their shortbread cookies because I like those kind. I am most excited about the Snickerdoodle cookies. It is one of my husband's favorites. We usually bake homemade Snickerdoodle cookies so I would love to try the Krusteaz version to see how it compares. I would love to try the shortbread and make thumbprints! Although the gingerbread looks delicious as well! I love their products.I really want to try the Snickerdoodles! I want to try the Snickerdoodle mix. My favorite cookie is chocolate chip. I want to try the butter vanilla sugar cookie mix. What a wonderful giveaway, I sure do hope that krusteaz is going to have another giveaway like this , for this year, would love to try there products out.